Hurry only 5 left in stock! The beautiful Oyster Snuggle Bed from Babystyle promotes side sleeping and enables baby to remain close to you throughout the night during the first 6 months, whilst still being able to get that all important sleep. 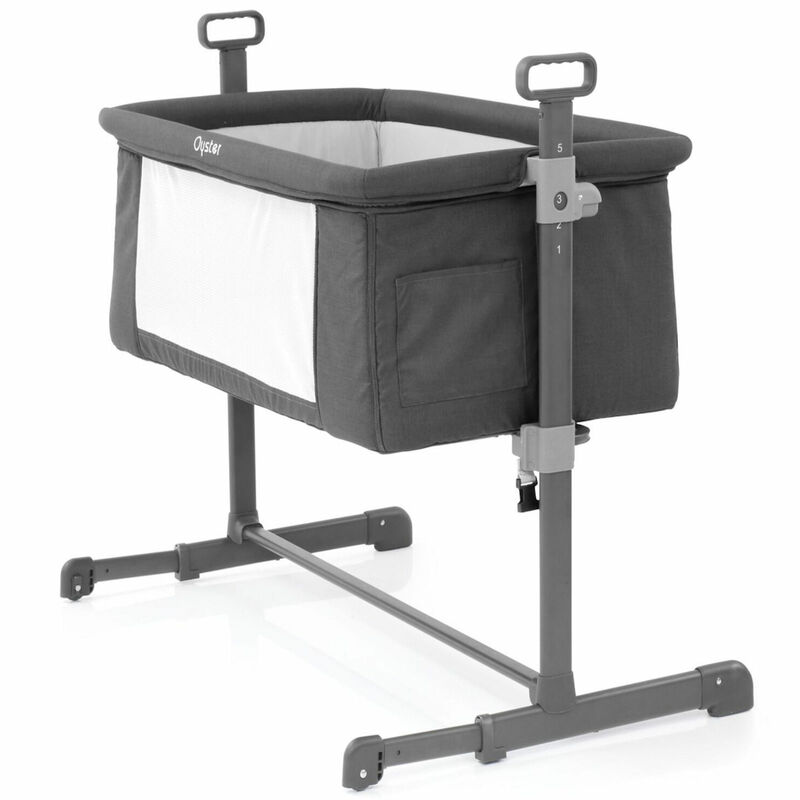 With its innovative lightweight frame with handle grips, the bed can easily be moved around the house without the need of disturbing your sleeping little bundle. 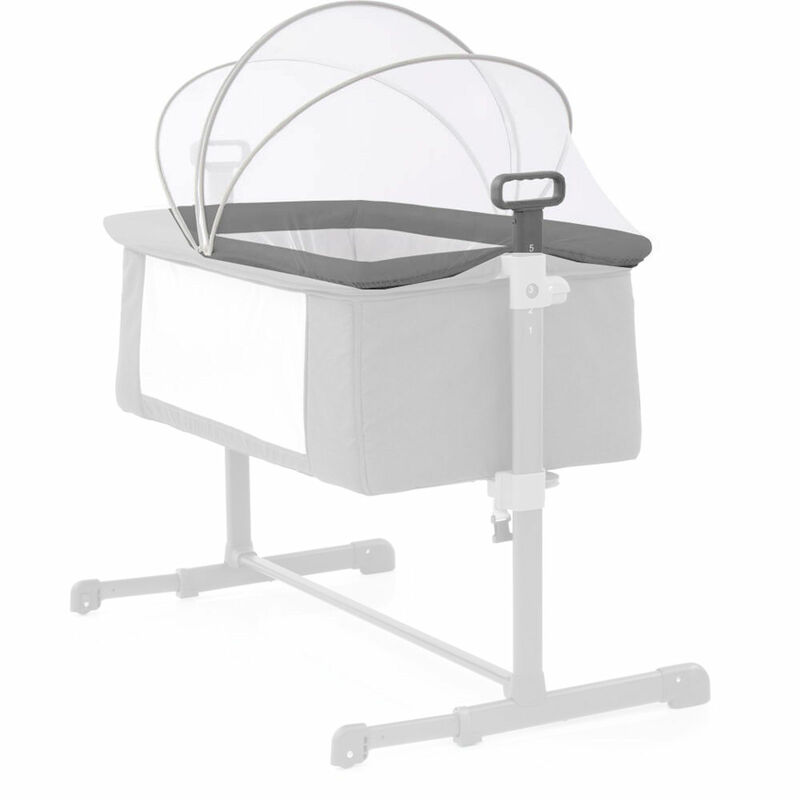 Featuring 5 independent height positions this is perfect for keeping babies elevated during times of congestion and reflux. 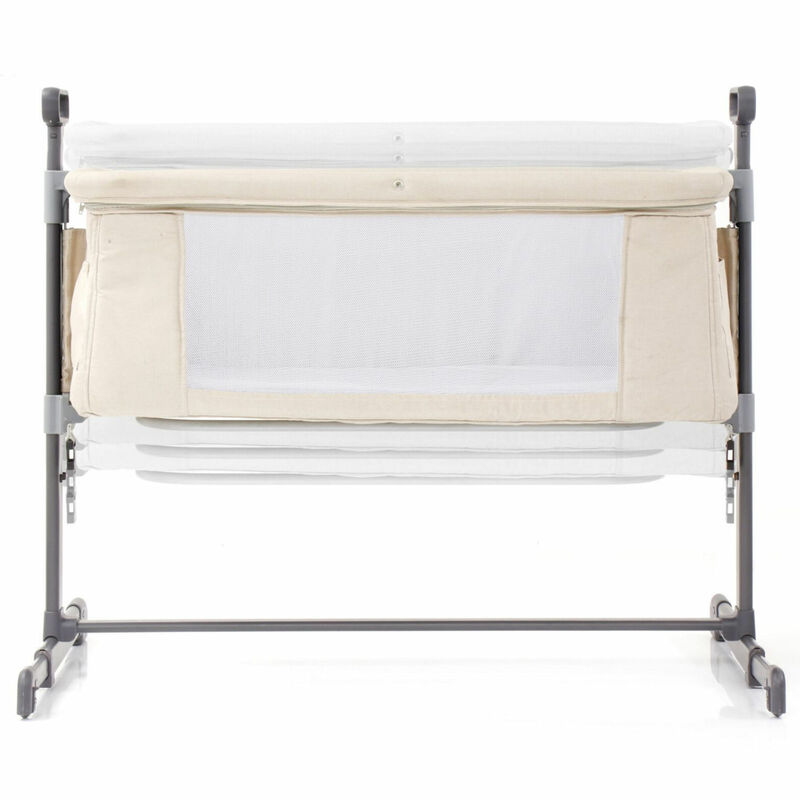 Complete with retractable feet and harness straps the bed can easily be secured close to your bed whilst the mattress ensures a snug and comfortable place for your little one to rest. 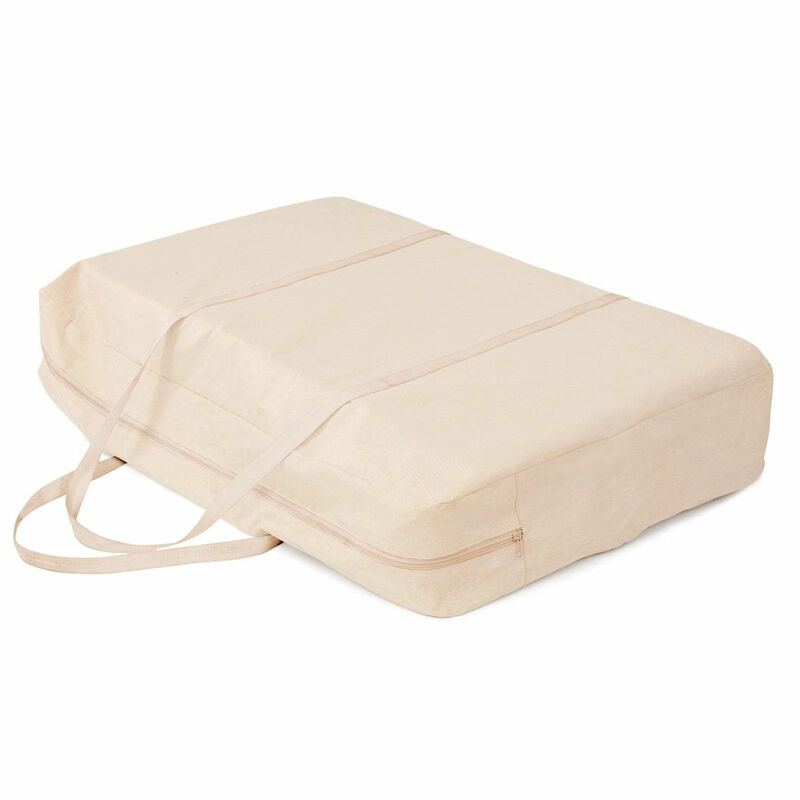 The included handy Oyster Snuggle Bed Carry Bag provides the perfect way in which to transport your little ones Snuggle Bed. 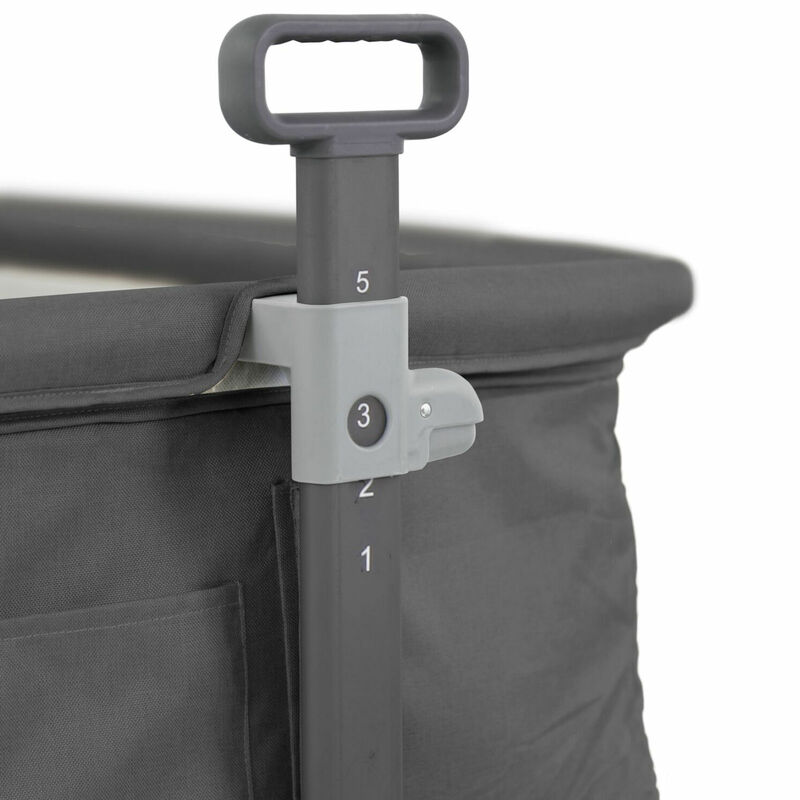 Complete with carry handles and an easy to use zip opening the bed can be neatly folded away and taken with your wherever you go. Whether it be grandparents or holidays your child will feel more comfortable and secure remaining in the same sleeping environment which will result in a more peaceful night’s slumber. 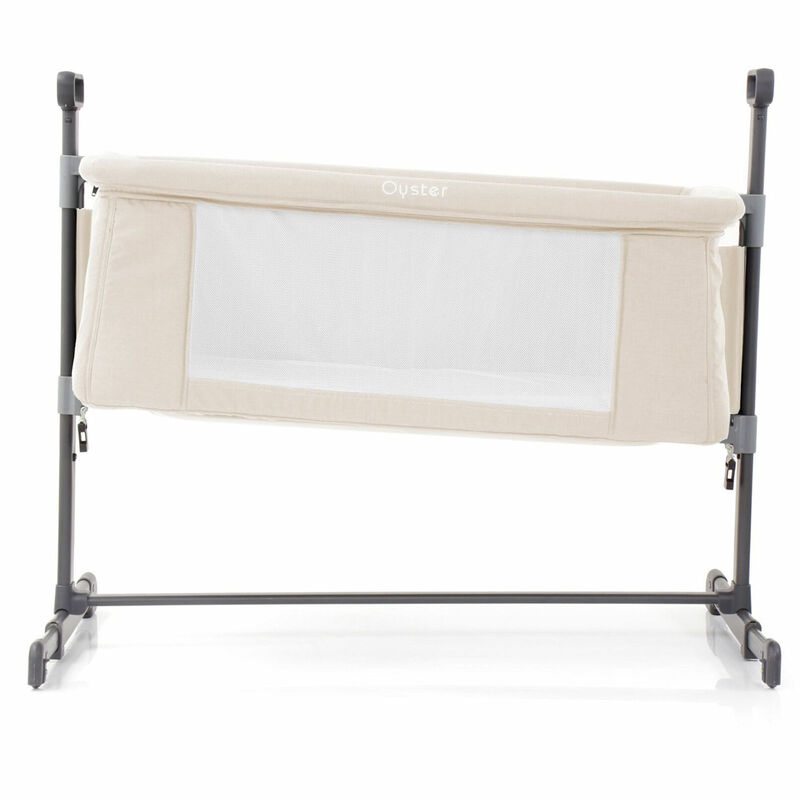 The handy Oyster Snuggle Bed Moquito Net provides that added protection from those little creepy crawlies. 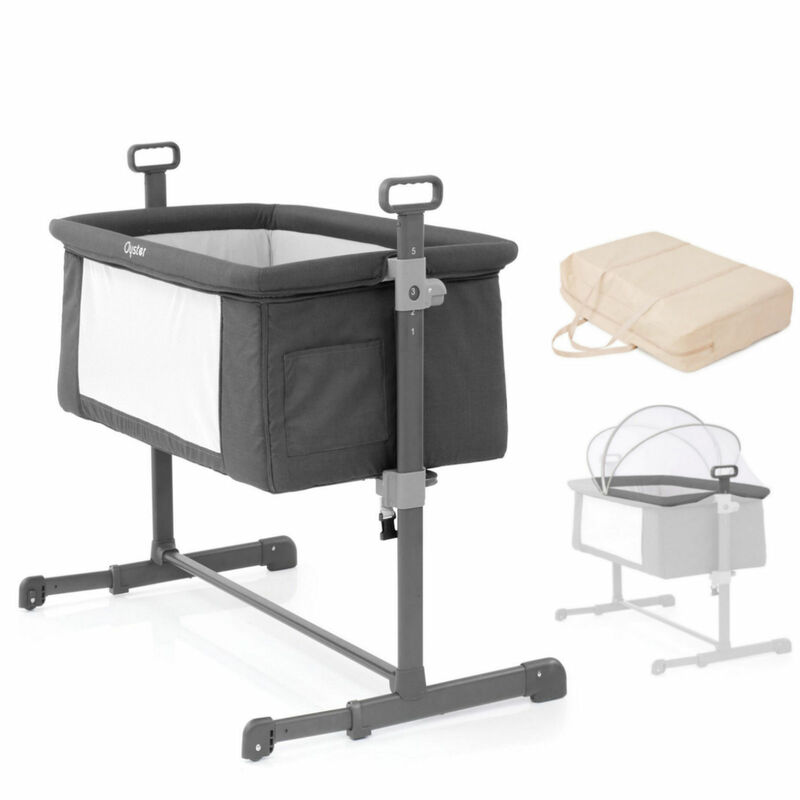 Complete with a sturdy frame which helps prevent it from drooping, the net easily attaches to your Snuggle Bed and is perfect for holidays or just simply sitting in the garden on summer days. 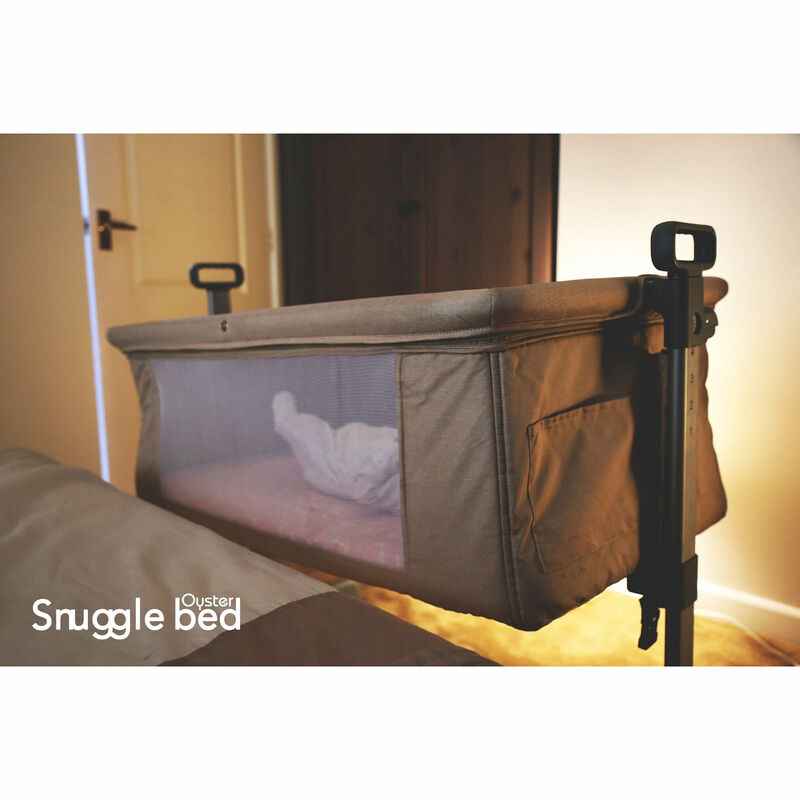 Can be adjusted up to 5 different heights to help with baby's congestion and reflux. Easy transport in the storage bag not included.